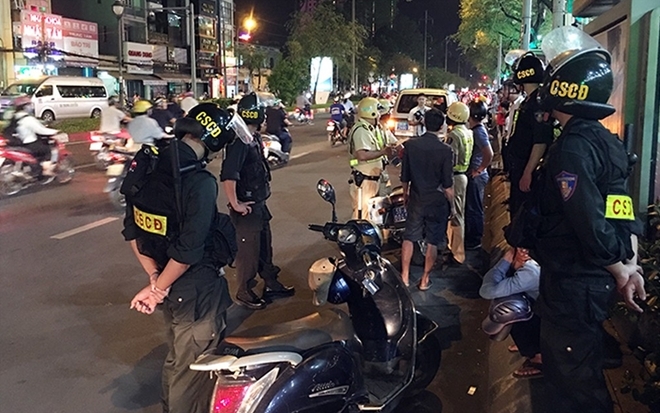 PSNews - The newly-established Task Force Police Unit 363 has conducted dozens of patrols in Ho Chi Minh City to ensure order and security in recent days, bringing peace and safety for local people during the Lunar New Year Festival (Tet). 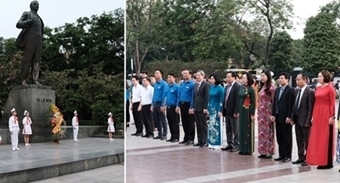 Task Force Police Unit 363 is constituted of several police forces, assigned to ensure security and order in the city before, during and after the Lunar New Year Festival 2019. Each patrol team of Task Force Police Unit 363 has 12 officers, including 3 traffic police officers, 6 mobile police officers and 3 criminal police officers, all well-trained. A working team of Task Force Police Unit 363 performing duty. Within a month since the unit was established (December 30, 2018), working teams were often present at "hot spots" across the city to crack down on crimes. At 12:15 on January 29, on National Highway 1A, Thoi An Ward, District 12, a working team of Task Force Police Unit 363 spotted a couple riding on a motorcycle with suspicious acts. The team decided to stop the vehicle for a regular administrative check. 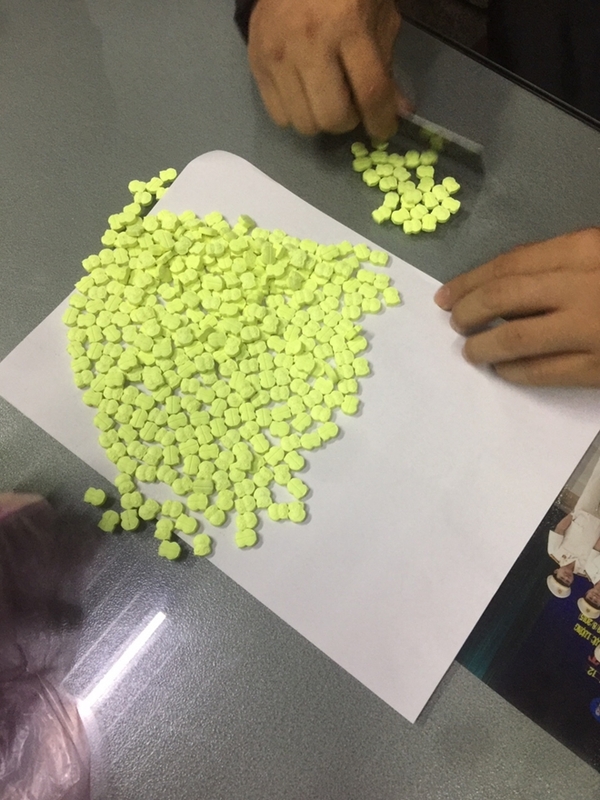 The team discovered a plastic bag containing 375 tablets of synthetic drugs, as well as a 17-cm long knife inside the bag carried by the young man named Nguyen Hoang Phuong Nguyen (24, resident of Go Vap District), who had a police record of a previous conviction of property extortion. The working group then handed over the two suspects and exhibits to the Police Post of Thoi An Ward in District 12 for further investigation. At around 22h50 on January 20, while patrolling at the intersection of Dien Bien Phu Street - Pham Ngoc Thach Street (District 3), a working team of Task Force Police Unit 363 discovered and arrested a man, named Chau Hoan Du (30, residing in District 3), who was carrying a plastic bag containing substances suspected of drugs, and weapons such as knives and cudgels. Substances suspected of drugs seized by Task Force Police Unit 363. The man then was taken to Police Post of Ward 6, District 3 for further investigation. If the above-mentioned suspects had not been detected and captured in time by Task Force Police Unit 363, they could have harmed people. According to statistics, from December 30 to January 28, the Task Force Police Unit 363 discovered 54 cases, and arrested, handed over 90 suspects to local police. These criminals were involved in property robbery, property usury, public order disturbance, illegal possession and trade of narcotics and possession of rudimentary weapons. The unit also handled 1,223 cases of traffic safety violations. 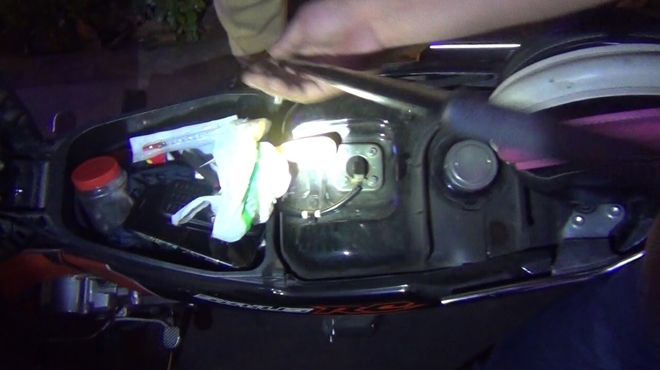 Weapons found inside a motorcycle. Many criminals, when they discovered the Police Task Force 363's working groups, tried to run away, but they were always unsuccessful. officers and soldiers of Task Force Police Unit 363 who are well-trained, and equipped with specialized vehicles, have always successfully captured all criminal suspects.